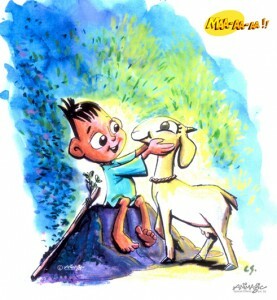 This is a story of a goat MUNNA and his two friends, a boy,CHUNNU and a small baby crow called KAUWA. The little goat gets lost in the forest and encounters a self serving PANDITJI and three very hungry thieves KALLU, PILLU & LALLU. 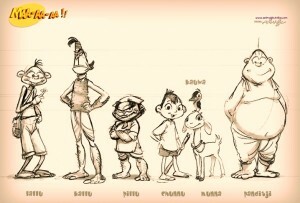 The characters have evolved over a time and though their almost final forms were designed in ’99 ..their true animated selves have evolved in the actual animation process.